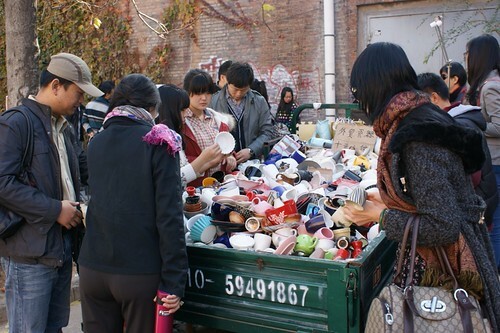 Julien, A French man in Asia » Incredible China – example 16: Mugs and cups for all! Incredible China – example 16: Mugs and cups for all! People seemed really interested and I understood why when I asked for the price – 3 pieces for 10 yuans, this is a good deal! If you are lucky, you can manage to find 3 pieces from the same set. I met these vendors on all famous and popular streets around Beijing: Nanloguxiang, 798, Gulou….